If you have had to take out a number of loans for a number of different reasons, it’s likely that you’re drowning in the angst of trying to figure out where to start. Those loans are not getting any smaller if you’re not paying them, and the last thing that you want to do let them get any bigger. The thing is, all of them seem very important and you want to pay them off in the most effective way possible. So, how do you decide which loan to pay off first? Your first inclination might be to pay off the loan with the smallest monthly payments, because that is the smallest one and will be paid off quicker, preventing the development of more interest. Good thought, but that might not be the best option. You are likely familiar with the idea of interest, but a quick refresher will help to show how important it is to choose the right loan to pay. Interest is all dependent on two factors: the principal investment and the interest rate. So, take your smallest, most appealing loan to pay, for example. You might have taken a R2,000 loan out with a 5% annual interest. That was one year ago, so at this time the loan has grown to 105%, and 5% of that will be billed to you in the upcoming year. That loan has relatively small payments compared to the R50,000 loan you took out for that new car, or college, or whatever it is that you needed a lot of money for. The interest rate on your R50,000 loan is, say, 4%. The payments on both loans might be relatively close at first, but as your larger loan begins to grow, it’s payments will grow at much higher rates than your smaller loans. For this reason, it’s prudent to try and chip away at the loans that have the largest principal investment with the highest interest rates. 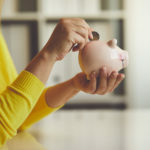 That being said, you may have a huge loan that barely develops any interest at all, and in that case, you would do well to start paying off the smaller loans that are accruing more interest. When considering how to move forward in your attempts to pay off your loans, remember one thing: it’s not about the current payments, it’s about what the payments will become. Not all loans are created equal, and while it might make the most sense for you to pay your small loan at the moment, your large loan is lurking, growing, and developing. As it gets bigger it will only continue to do so at higher rates because the principal will continue to grow. It may help to hire a financial planner if the numbers are difficult to crunch. Making the investment to have someone help would be well worth it if the alternative is losing thousands of dollars from interest. If you’re not bogged down by a lot of loans already, you probably don’t have to decide which loan to pay off first. you may be in the position of needing a loan, fast. If you’re located in South Africa, Little Loans has already helped over 100,000 people in the country with loans. Contact us if you’d like to get started today. 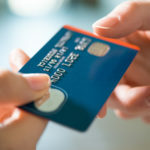 Previous article How Do Cash Back Credit Cards Work?